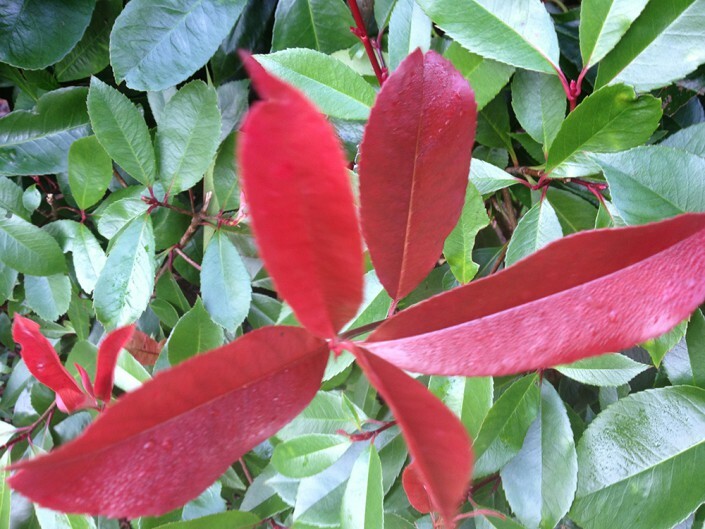 Photinia fraseri ‘Red Robin’ is a shrub that makes a striking evergreen hedge because of its brilliant crimson-red glossy young leaves, which give a spectacular display in spring and summer before maturing to dark green. A Photinia Instant Hedge works well with warm planting schemes and where you would like the hedge to really stand out. It develops clusters of small white flowers in mid and late spring, sometimes followed by red fruit – but it is the spring foliage that sets this hedging shrub apart. 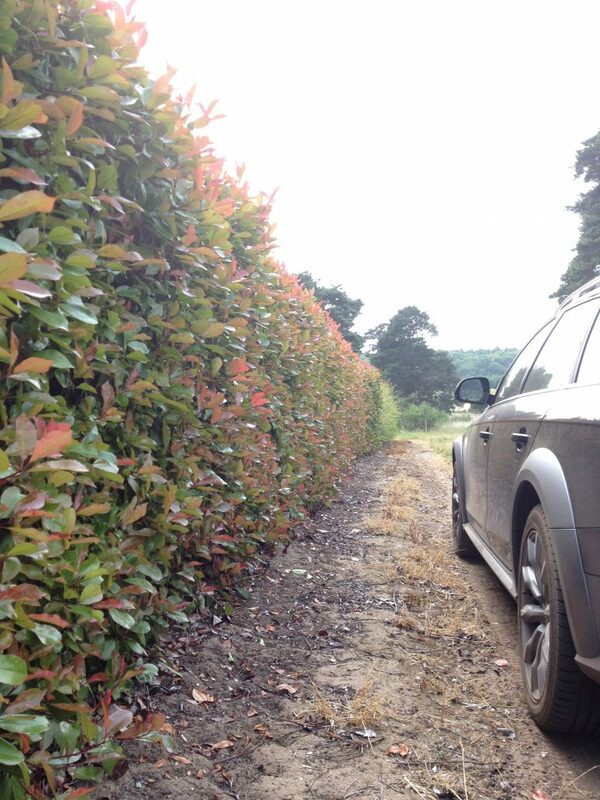 This instant hedge will thrive in all well-drained soils including chalk. Position in sun or light shade and avoid frost pockets as Photinia is sensitive to frost. 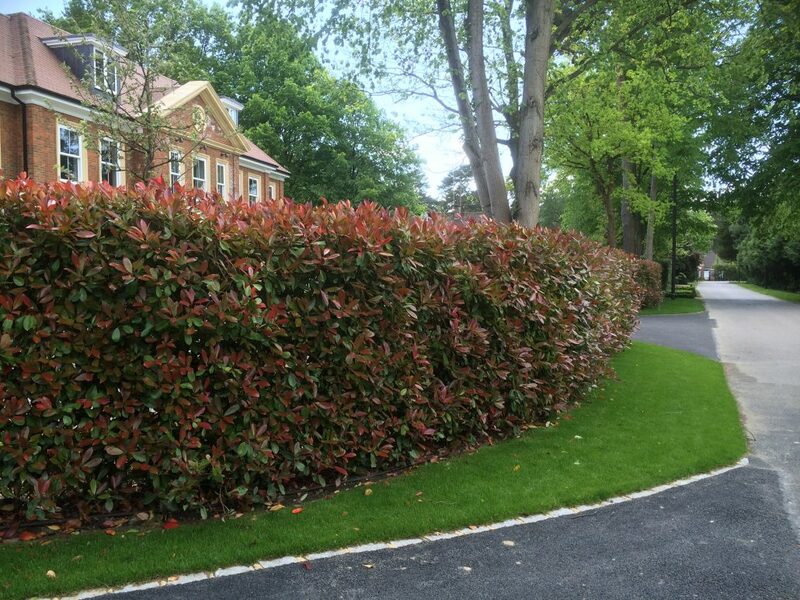 Photinia Red Robin hedges grow quickly at about 30 to 40 cm per year; it responds well to pruning, so trim regularly to promote growth of the attractive new red shoots. 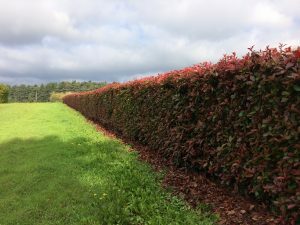 during the growing season.